T his article originally appeared on LinkedIn Pulse and is republished with permission from the author. If your board of directors struggles with developing a plan for their community and spends more time focusing on how things get done rather than generating results, then the policy governance model may be for you. A policy governance approach can help micromanaging boards focus on what is most important to their community and deliver results around those key initiatives. There are many reasons a homeowner may decide to serve on their community association board. If their reason includes a personal agenda, once elected, this agenda can cloud their judgment from fulfilling the fiduciary duty to the board and hinder progress for the community as a whole. 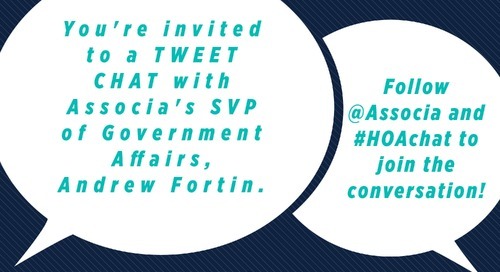 Policy Governance is a model that can be applied to emphasize good board governance while tempering the need to introduce personal perspectives into the day-to-day operation of a community association. It focuses the board’s attention and encourages them to be policy driven rather than management driven. This allows the manager to do the job that they are hired to do, which is to oversee the operations and assure the association is fulfilling its obligations to the membership. The basic premise of the policy governance model lies on the concept that community association board’s responsibility is not to operate the community; rather, it is to make sure the community is well-run. In order to implement the policy governance model, the community must first identify the vision and the mission statement for their corporation. With these in place the board can then begin to set policies or boundaries that support the stated objectives. A board that adopts policy governance will pay greater attention to issues of purpose and direction and will ultimately make more strategic decisions. They will also empower the community manager, as much as is safely possible, to delegate what is appropriate and maintain control over management activities as needed because the boundaries within which the manager must act are clearly articulated. Debra A. Warren, PCAM, CCAM, is Vice President of Education for Associa. Since joining the Associa family in 2012 she held positions on the operations team supervising branches on the West Coast and Canada as well as contributing in the area of client relations and community manager education. Her career in community association management spans over 25 years, including 15 years of experience as a management firm principal and CEO. She is a nationally recognized expert in association management operations, specializing in education, communication and customer service. 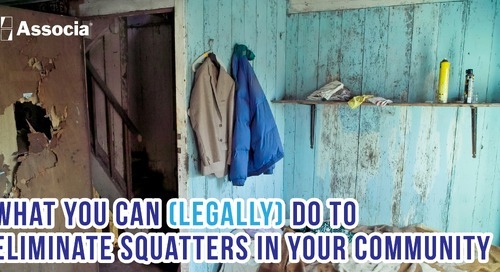 Squatters in HOAs: Can Anything Be Done?